Lincoln Square encompasses the smaller neighborhoods of Ravenswood Gardens, Bowmanville, Budlong Woods as well as the eponymous Lincoln Square neighborhood. Although it is sometimes known by these other names the City of Chicago officially designated it as Lincoln Square in 1925. According to the Encyclopedia of Chicago, the conflation of Ravenswood and Lincoln Square is a common mistake — the two are not interchangeable. 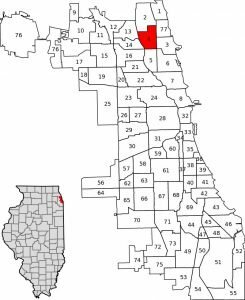 The boundaries of the original Ravenswood subdivision, drawn in 1869, were Montrose, Lawrence, Clark and Damen, In the 1920s, the University of Chicago divided the City into community areas, one of which was Lincoln Square, which included the existing Ravenswood subdivision. It is highly recommended that you get a complete professional home inspection done on any home that you purchase in Lincoln Square The unique architecture and ornate Victorian homes may have surprises or complications that an experienced home inspector can identify in their home inspection report. n the 1840s, farming was begun in this area by newly arrived German Americans. Two brothers, Lyman and Joseph Budlong arrived in 1857 to start a commercial pickling operation near what is today Lincoln Avenue and Berwyn. They later opened a commercial green house and flower fields to provide flowers for the then new Rosehill Cemetery. In 1925, to honor Abraham Lincoln, the Chicago City Council named the area Lincoln Square, and a prominent statue of the namesake was erected in 1956. About 44,000 people live in the neighborhood along with over 1,000 small and medium-sized businesses. It is accessible through the Brown Line of the ‘L’. The neighborhood is bounded by Bryn Mawr and Peterson Avenues on the north, Montrose Avenue on the south, Ravenswood Avenue on the east and the Chicago River on the west. Its housing stock consists of private residences and small apartment buildings. 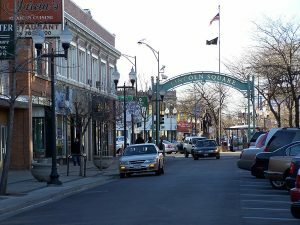 The commercial heart of Lincoln Square is located at the intersection of Lawrence, Western and Lincoln Avenues. Lincoln Avenue southeast of this intersection is home to a wide variety of restaurants and shops. Lincoln Square is historically known as a heavily German influenced and populated neighborhood, but now one is just as likely to see shops catering to Thai or Middle Eastern cultures. Still, the neighborhood is home to a number of German businesses, including Merz Apothecary and Lutz Café & Bakery, and is the home of the Chicago branches of DANK (the German American National Congress) and the Niedersachsen Club. The German-language weekly newspaper Amerika Woche was born in Lincoln Square in 1972, though its original headquarters above the Brauhaus is now only a bureau. Events such as festivals and live musical performances are frequently held in Lincoln Square. The Apple Fest is a longstanding tradition in Lincoln Square that brings the community together to celebrate the beginning of fall. Dozens of vendors participate in the event each year selling autumn-themed crafts and apple-themed treats, such as fresh baked apple pies, bushels of apples, hot apple cider and apple pizza. The Square Roots Festival, which is held every summer, celebrates Lincoln Square’s history in music and German culture with live performances from local musicians and craft beer from local breweries. We have inspected many homes in the Lincoln Square community, and have many years of experience with the homes in the neighborhood! Call us today to schedule a Lincoln Square home inspection. Exceeding our customers’ expectations is our number one priority. We became the highest rated home inspectors in the Lincoln Square area because we do more than any other home inspection company. We take great pride in our public feedback from customers on Google and Yelp. It’s not easy to achieve these great reviews. We create the most detailed inspection reports and the best equipment is used by skilled professionals who are committed and passionate about their work. We also provide the best warranties should an unpleasant surprise happen. Chicagoland Home Inspectors Inc. provides home inspection services in the Lincoln Square community, and have many years of experience with the homes in the neighborhood! We offer sellers pre-listing inspection check on Lincoln Square homes with a detailed report of needed repairs before the property is put on the market. The Lincoln Square home inspection offers detailed reports, if the property is a REHAB HOME. If you’re buying a home in the LincolnSquare area, get it tested for radon. Radon gas is the number one cause of lung cancer among non-smokers, and the second leading cause of cancer in America. by Chris D. on Chicagoland Home Inspectors Inc. I used Charles for my home inspection at the recommendation of a friend. I've had home inspections done on other homes I've owned and have a good idea of what to expect from the inspector. I must say that Charles was professional, very thorough, upfront and honest, and always willing to further explain and clarify his observations. His written report was well-documented and as thorough as his inspection. And he was reasonably priced to boot! I would definately use Charles again and would refer him to anyone I could. Thank you for the kind words. I like to take my time and document as much as I can. The goal is let you make an educated purchase. I am thrilled I was able to help in your Lincoln Square Home.